Inferno is an insanely fast, React-like library for building high-performance user interfaces on both the client and server. The main objective of the InfernoJS project is to provide the fastest possible runtime performance for web applications. 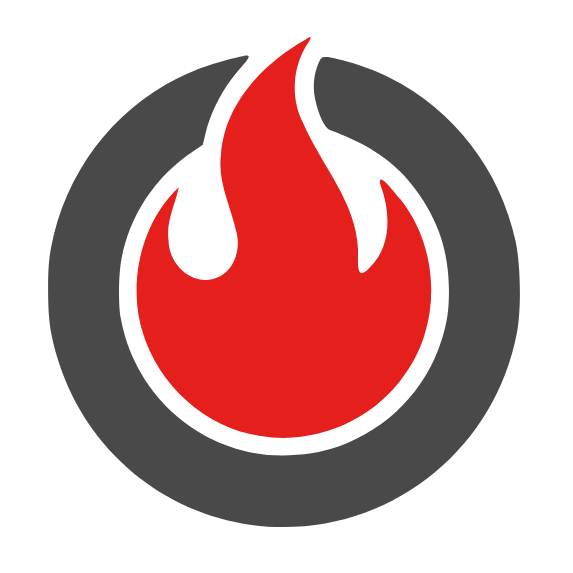 Inferno excels at rendering real time data views or large DOM trees. Since version 4 we have started running our test suite without any polyfills. Inferno is now part of Saucelabs open source program and we use their service for executing the tests. InfernoJS natively supports the browsers listed below. Let's start with some code. As you can see, Inferno intentionally keeps the same design ideas as React regarding components: one-way data flow and separation of concerns. In these examples, JSX is used via the Inferno JSX Babel Plugin to provide a simple way to express Inferno virtual DOM. You do not need to use JSX, it's completely optional, you can use hyperscript or createElement (like React does). Keep in mind that compile time optimizations are available only for JSX. Because performance is an important aspect of this library, we want to show you how to optimize your application even further. In the example below we optimize diffing process by using JSX $HasVNodeChildren to predefine children shape compile time. Then we create text vNode using createTextVNode. All child flags are documented here. To tear down inferno application you need to render null on root element. Rendering null will trigger unmount lifecycle hooks for whole vDOM tree and remove global event listeners. It is important to unmount unused vNode trees to free browser memory. The easiest way to get started with Inferno is by using Create Inferno App. the Inferno Boilerplate for a very simple setup. for a more advanced example demonstrating how Inferno might be used, we recommend trying out Inferno Starter Project by nightwolfz. for using Inferno to build a mobile app, try Inferno Mobile Starter Project by Rudy-Zidan. for TypeScript support and bundling, check out ts-transform-inferno, or inferno-typescript-example. Note: Make sure you read more about inferno-compat before using it. Inferno has its own JSX Babel plugin. Inferno doesn't have a fully synthetic event system like React does. Inferno has a partially synthetic event system, instead opting to only delegate certain events (such as onClick). Inferno doesn't support React Native. Inferno was only designed for the browser/server with the DOM in mind. Inferno provides lifecycle events on functional components. This is a major win for people who prefer lightweight components rather than ES2015 classes. Inferno is able to use the React Dev Tools extensions for Chrome/Firefox/etc to provide the same level of debugging experience to the Inferno user via inferno-devtools. Inferno has a partial synthetic event system, resulting in better performance via delegation of certain events. Inferno is much faster than Preact in rendering, updating and removing elements from the DOM. Inferno diffs against virtual DOM, rather than the real DOM (except when loading from server-side rendered content), which means it can make drastic improvements. Unfortunately, diffing against the real DOM has a 30-40% overhead cost in operations. Inferno fully supports controlled components for input/select/textarea elements. This prevents lots of edgecases where the virtual DOM is not the source of truth (it should always be). Preact pushes the source of truth to the DOM itself. Like React, Inferno also uses a light-weight synthetic event system in certain places (although both event systems differ massively). Inferno's event system provides highly efficient delegation and an event helper called linkEvent. One major difference between Inferno and React is that Inferno does not rename events or change how they work by default. Inferno only specifies that events should be camel cased, rather than lower case. Lower case events will bypass Inferno's event system in favour of using the native event system supplied by the browser. For example, when detecting changes on an <input> element, in React you'd use onChange, with Inferno you'd use onInput instead (the native DOM event is oninput). linkEvent() offers better performance than binding an event in a class constructor and using arrow functions, so use it where possible. In HTML, form elements such as <input>, <textarea>, and <select> typically maintain their own state and update it based on user input. In Inferno, mutable state is typically kept in the state property of components, and only updated with setState(). We can combine the two by making the Inferno state be the "single source of truth". Then the Inferno component that renders a form also controls what happens in that form on subsequent user input. An input form element whose value is controlled by Inferno in this way is called a "controlled component". Render a virtual node into the DOM in the supplied container given the supplied virtual DOM. If the virtual node was previously rendered into the container, this will perform an update on it and only mutate the DOM as necessary, to reflect the latest Inferno virtual node. Warning: If the container element is not empty before rendering, the content of the container will be overwritten on the initial render. createRenderer creates an alternative render function with a signature matching that of the first argument passed to a reduce/scan function. This allows for easier integration with reactive programming libraries, like RxJS and Most. See inferno-most-fp-demo for an example of how to build an app architecture around this. This is the base class for Inferno Components when they're defined using ES6 classes. Another way of using defaultHooks. Functional components are first-class functions where their first argument is the props passed through from their parent. flags: (number) is a value from VNodeFlags, this is a numerical value that tells Inferno what the VNode describes on the page. childFlags: (number) is a value from ChildFlags, this tells inferno shape of the children so normalization process can be skipped. key: (string|number) unique key within this vNodes siblings to identify it during keyed algorithm. ref: (function) callback which is called when DOM node is added/removed from DOM. createComponentVNode is used for creating vNode for Class/Functional Component. ref: (Function|Object) this property is object for Functional Components defining all its lifecycle methods. For class Components this is function callback for ref. createTextVNode is used for creating vNode for text nodes. createTextVNode arguments explained: text: (string) is a value for text node to be created. key: (string|number) unique key within this vNodes siblings to identify it during keyed algorithm. Clone and return a new Inferno VNode using a VNode as the starting point. The resulting VNode will have the original VNode's props with the new props merged in shallowly. New children will replace existing children. key and ref from the original VNode will be preserved. Cool huh? Updates (props/context) will flow into "Outsider" component from the App component the same way as any other Component. For inspiration on how to use it click here! createRef API provides shorter syntax than callback ref when timing of element is not needed. forwardRef is a new mechanism to "forward" ref inside a functional Component. It can be useful if you have simple functional Components and you want to create reference to a specific element inside it. Same as render(), but is used to hydrate a container whose HTML contents were rendered by inferno-server. Inferno will attempt to attach event listeners to the existing markup. This option can be used during development to create custom component comparator method. This option will be called on every Component update. It gets two parameters: lastVNode and nextVNode. When it returns true lastVNode will be replaced with nextVNode. If anything else than true is returned it falls to normal behavior. This feature has been moved from inferno to inferno-compat in v6. No options are needed anymore. Note: we recommend using a ref callback on a component to find its instance, rather than using findDOMNode(). findDOMNode() cannot be used on functional components. If a component has been mounted into the DOM, this returns the corresponding native browser DOM element. This method is useful for reading values out of the DOM, such as form field values and performing DOM measurements. In most cases, you can attach a ref to the DOM node and avoid using findDOMNode() at all. When render returns null or false, findDOMNode() returns null. If Component has rendered fragment it returns the first element. Render a virtual node into an HTML string, given the supplied virtual DOM. All these Component lifecycle methods ( including render and setState - callback) are called with Component instance context. You don't need to "bind" these methods. Please note: class components (ES2015 classes) from inferno do not support the same lifecycle events (they have their own lifecycle events that work as methods on the class itself). By default, Inferno will run in development mode. Development mode provides extra checks and better error messages at the cost of slower performance and larger code to parse. When using Inferno in a production environment, it is highly recommended that you turn off development mode. Ensure the environment variable process.env.NODE_ENV is set to production. When running Inferno on the browser using Webpack or Rollup, a replacement will need to occur during your build. When you are building for development, you may want to use inferno.dev.esm.js ("dev:module": "dist/index.dev.esm.js",) file. That build version has extra level of validation for development purposes. You can use it by adding following code to your webpack config. When you are building for development, you may want to use inferno.dev.esm.js ("dev:module": "dist/index.dev.esm.js",) file. That build version has extra level of validation for development purposes. You can use it by adding following code to your rollup config. Inferno always wants to deliver great performance. In order to do so, it has to make intelligent assumptions about the state of the DOM and the elements available to mutate. Custom namespaces conflict with this idea and change the schema of how different elements and attributes might work, so Inferno makes no attempt to support namespaces. Instead, SVG namespaces are automatically applied to elements and attributes based on their tag name. There is an Inferno Slack. You can join via inferno-slack.herokuapp.com.